For Sale in Stockport for Offers in excess of £200,000. 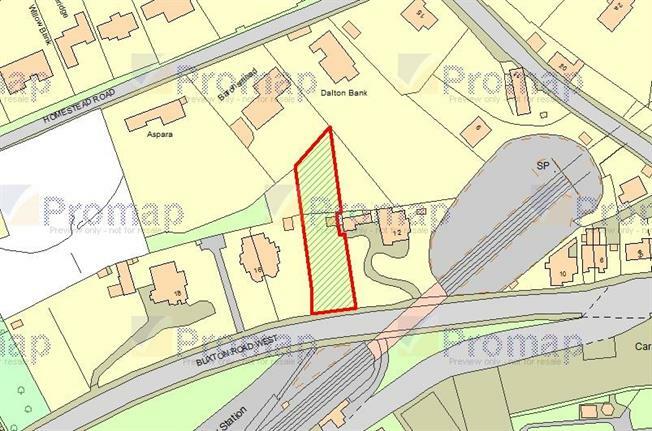 Countrywide Residential Development is delighted to bring to the market a prospective development opportunity subject to obtaining the necessary planning consent. Disley is located in the unitary authority of Cheshire East on the very edge of the Peak District. Disley comprises a varied mix of facilities for its residents. The subject site is located to the side of 12 Buxton Road West, Disley. The site is well located for shops, services and local transport connections. The red edge shown in these particulars is purely indicative and measures approximately 0.29 acres. The extent of land available for purchase is negotiable. Title Number: The site forms part of the titles relating to 12 Buxton Road West - CH596876 and CH597159. Services: Prospective purchasers are advised to make their own enquiries into the availability of services on site. Legal Costs: Each party to be responsible for their own legal costs incurred in any transaction. Tenure: The site is available freehold. Offers: We are willing to help support interested parties in the preparation in submitting any offers. Offers are invited on a unconditional and conditional subject to planning basis.